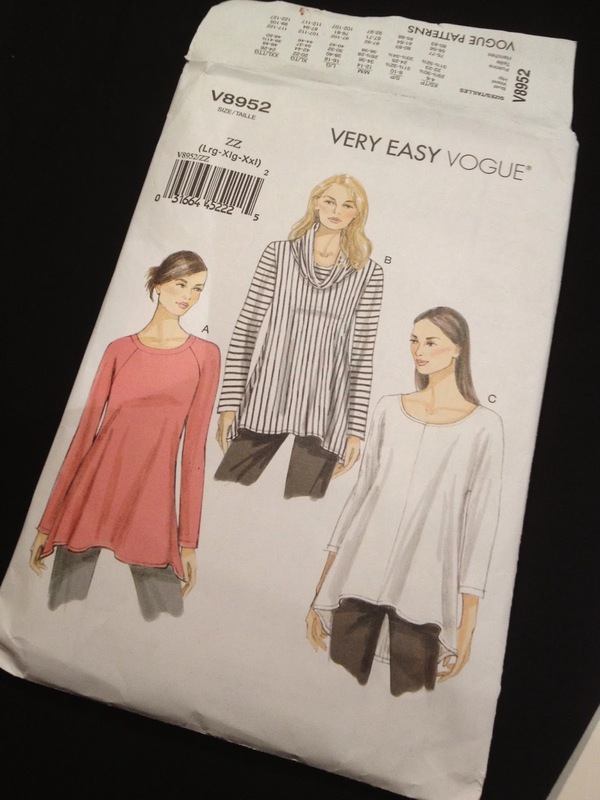 Well the weather is finally cooling down in this part of the world and I have found that my wardrobe is lacking, so I plan to make some quick and easy sews. 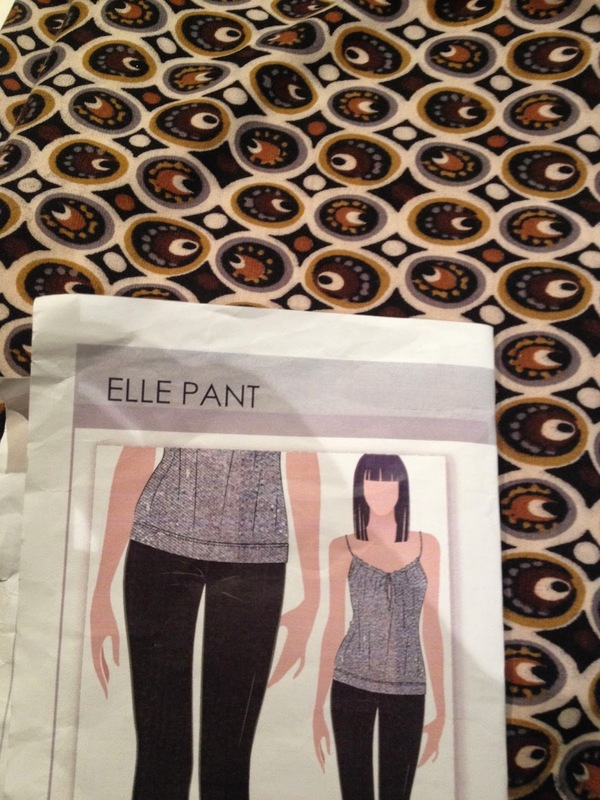 I just need some comfortable pull on pants, so Style Arc Elle pants, in a ponte are a great option. I have made this pattern 3 times already so I know it works well. The fabric I bought last year from a US site. I can't remember which one. To go with this I want to make a black swing top. I'm going to try Vogue 8952. This looks like the right shape for tight pants , so I think it will work. If it does work I will be making quite a few of these tops. I'd also like to make a few straight skirts in knits. They are easy to wear and easy to layer. So that's the plan. I must say this blog is helping to keep me honest by helping me plan and helping me finish garments. I would be 3/4 of the way through a garment and then not hem it, or leave buttons off, or something equally ridiculous. So this blog is helping to discipline me to finish garments and that is giving me a great deal of satisfaction.